It turns out that injecting arbitrary native code into a process on OS X is almost as easy as it is on Windows. I wrote a small utility based on the rentzsch/mach_star project called osxinj which allows a user to inject a .dylib module into any running process. 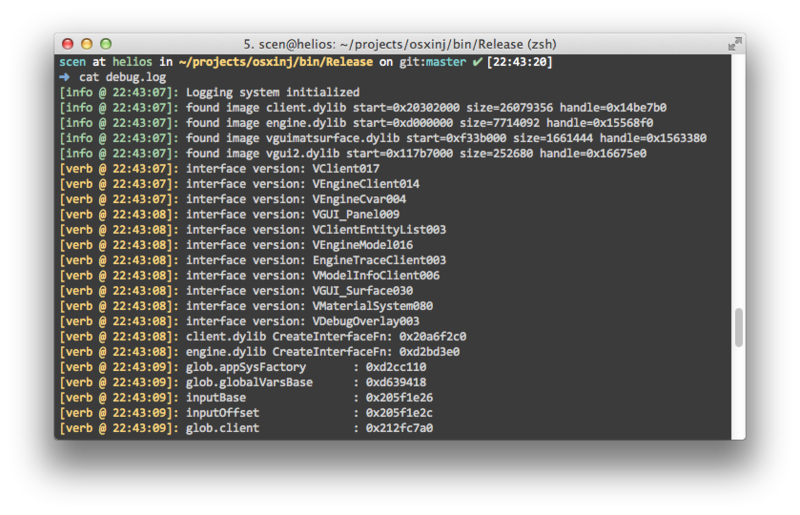 I also created libembryo, a reverse engineering library for OS X. Essentially, we manually map some bootstrapping code into the target process that will then invoke dyld to load our module. In preparation, we first allocate a stack for the thread we’ll eventually create in the target process and resolve all relative jump offsets. Since 32-bit jumps are relative, the operating system fixes these relative jumps when the module is not loaded at its preferred base address. We can fix these by looking at other segments in the Mach-O binary, namely __jump_table and/or __symbol_stub. Then, we alter the jump table in these sections by shifting each address by the module offset. After working bootstrap code is written to the target process, we pass our module’s path and start a thread at the code base. 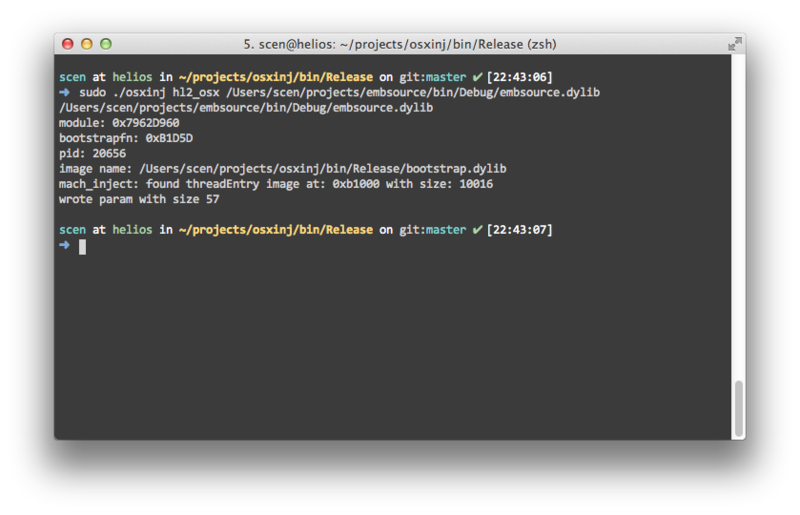 The bootstrap code calls dlopen on the module path and dyld takes over by invoking the dylib’s constructor. Similar to my ionlib project for Win32, libembryo is a RE library for OS X. The interfaces should be cleaner and it supports many of the same features. Using this library, I wrote a program that can draw on any source engine/OpenGL application. The debug log is shown below. Made with ♥ by Stanley. Deployed revision 1e0bc08 ( December 07, 2017 ).